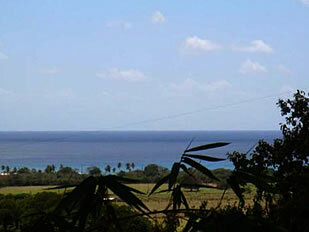 You can see all the way from Sandy Point to Prosperity from this lovely hilltop lot! Seller would consider some owner financing with 50% down, financing at 10% for 5 years – no pre-payment penalty. There is an active Homeowners Association, power and telephone nearby. A cistern and septic would be required. Directions: From Frederiksted, right on Mahogany Road. Take first right, then left on Sunset Circle. Go to top of hill and see For Sale sign on right. Property starts at sign and goes up hill to telephone pole where house is under construction. Since the first of the year, there have been 328 single family residential homes on the market on St. Croix, 22 under contract, and 11 sales during the first two months of the year. Average sales price was $713,364, and average % of list price 87%. Compared to the first two months of last year, active listings are up 15%, # of sales down 47%, and average sales price up 35% (with 11 homes sold, this is a small sampling of island prices). Since the first of the year, there have been 246 condos on the market on St. Croix, 9 under contract, and 8 sales during the first two months. Average sales price was $509,312, and average % of list price 91%. Compared to the first two months of last year, active listings are up 18%, # of sales down 33%, and average sales price up 162% (with only 8 homes sold, this is a small sampling of island prices). Since the first of the year, there have been 622 land parcels on the market on St. Croix, 20 under contract, and 11 sales during the first two months. Average sales price was $104,455, and average % of list price 90%. Compared to the first two months of last year, active listings are up 19%, # of sales down 68%, and average sales price down 34%. Love woodworking? Here’s your opportunity to own a local shop with a great history, top reputation and a solid income. 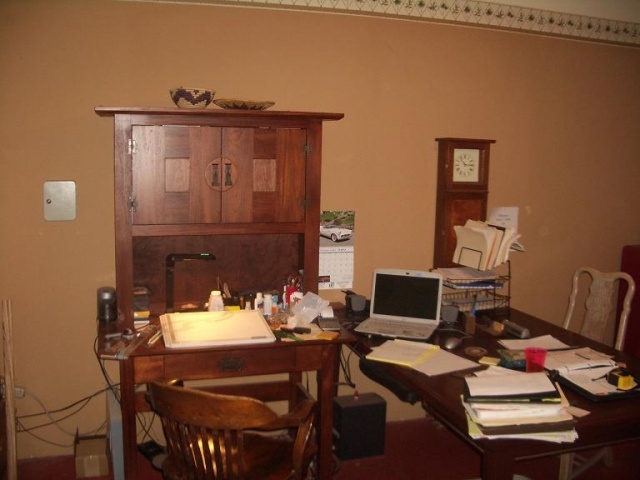 Its founder, Jack Dunigan, is an enthusiast of the Arts & Crafts decorative arts movement of the early 20th century. 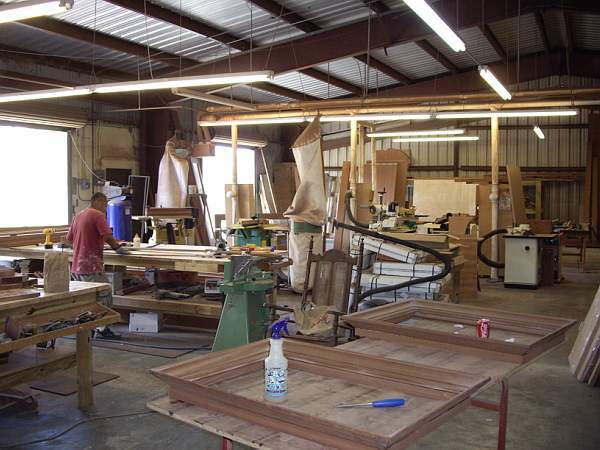 His shop designs and builds fine custom and unique furnishings, often in the manner of these artisans. After many years Jack has decided to retire and is offering his business for sale. The asking price is $295,000 (update: price reduced further) including tools, inventory, current jobs, client lists, etc. Owner financing with only 25% down is an option. Balance can be in payments or a balloon payment or combination thereof. Will also consider trade for home/condo stateside. All offers will be considered. The cover photo: 1949 Ford Pickup Truck. 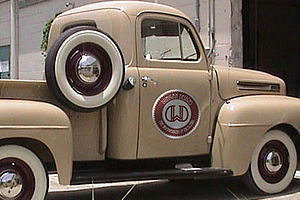 Jack restored this truck to original, show quality. It’s very special, and will not be part of the sale. He’s owned it for more than 35 years. 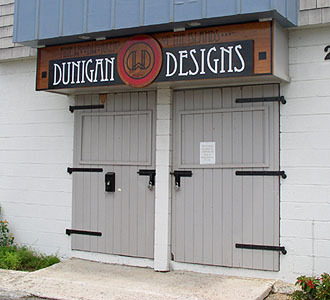 The details: Dunigan Designs is an architectural millwork shop offering high quality doors, windows, cabinetry, moldings, and furniture. They opened in their present facilities in April of 2005. Jack Dunigan, the owner, owned a shop in Arizona before relocating here. St. Croix is a unique business environment. The upper end of the economy is almost totally comprised of affluent statesiders who have homes here. 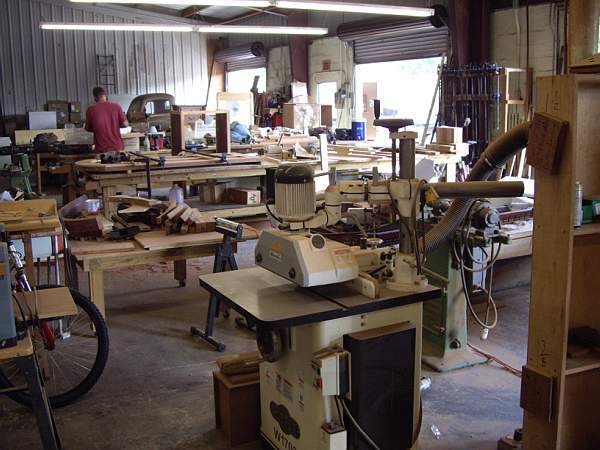 Because there are very few places one can find top quality wood work here, Dunigan Designs has been able to capitalize on that end of the economy by offering exceptionally well-made components in a timely manner. The location: 5400 sq ft leased facilities in easy to access business park near shopping center, freight forwarder, and major highway. Space includes large air conditioned office, a storage room, a finish spray room, a fully wired, complete Torit dust collection system, 4 roll-up doors, 2 restrooms, paved driveway and parking. 3 phase power is installed and operational. ¸ Office equipment – fax machine, HP printer, file cabinets, desks, etc. Contact Info: Interested parties please contact Nathaniel Dunigan at info@beachforaweek.com.